The golden age has dawned for neighbouring wineries Glenmaggie Wines and Blue Gables Vineyard, after they brought home prestigious gold medals from the recent Gippsland Wine Show. Ninety-five points were awarded to both Glenmaggie’s 2015 Bazz Shiraz and Blue Gables’ 2016 Pinot Gris, which along with their Gold Medals also claimed the titles Best Shiraz/Syrah and Best Alternate White, respectively. In fact, both wineries came home with three medals each: Glenmaggie were also awarded Bronze for their 2016 Nicky’s Sauvignon Blanc with 87 points and Bronze for their 2015 Cabernet Sauvignon with 88 points; Blue Gables were also awarded Silver for their 2015 Chardonnay, with 91 points and Bronze for their 2016 Sauvignon Blanc with 87 points. 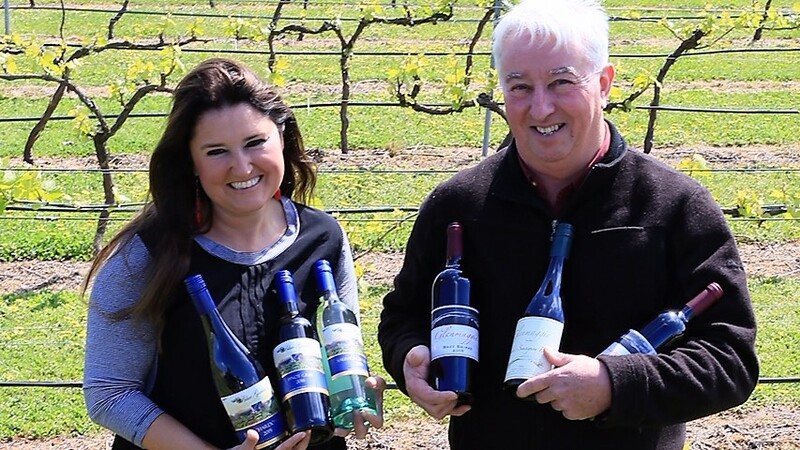 “It’s a real feather in the cap – not just for our individual wineries, but for the local wine industry,” co-owner and winemaker of Glenmaggie Wines, Tony Dawkins, said. “To have two gold medal winners, located within a few kilometres of each other … well it’s fantastic for each of us but it also says ‘this is great wine country’. A total of 133 wines from 25 producers across Gippsland were judged by PJ Charteris of Charteris Wines (Central Otago, New Zealand), Steve Flamsteed of Giant Steps winery (Yarra Valley) and Gabrielle Ploy of the City Wine Shop (Melbourne). The Gippsland Wine Show was held at the RACV Inverloch Resort and was attended by winemakers, sponsors, retailers and restaurateurs from throughout the region. You can order Glenmaggie’s award winning wines here.